View of the Genesee River at Portage in Portage, Livingston County. Depicted in the image are the Village of Portageville and the site of the proposed Portage reservoir. This image was created to record the waterpower activities of the New York State Conservation Commission. 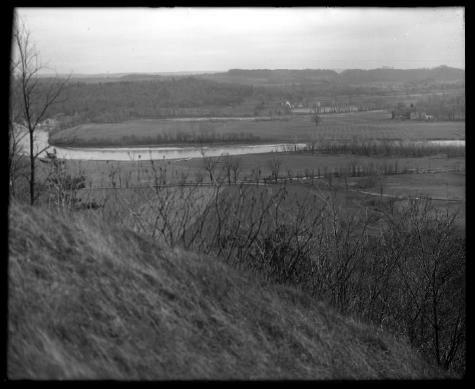 Source: New York State Archives, New York (State). Conservation Dept. Photographic prints and negatives, [ca. 1904-1949], 14297-87, SARA No. 889.